For many Americans, Black Friday means waking up before dawn on the day after Thanksgiving, lining up outside their favorite stores and rushing to claim electronics and other gift items at the biggest discounts possible. In recent years, stores have even begun opening on Thanksgiving Day itself, tempting shoppers to head to the stores as soon as they’ve finished their turkey and stuffing. But amid all the frenzy of shopping, do you know how Black Friday got its name? There are a few different origin stories for what is now known as the unofficial start to the holiday shopping season. The most frequently cited explanation has to do with how much money stores make on the shopping day and in the weeks after, according to BlackFriday.com. “‘Black’ refers to stores moving from the ‘red’ to the ‘black,’ back when accounting records were kept by hand, and red ink indicated a loss, and black a profit. 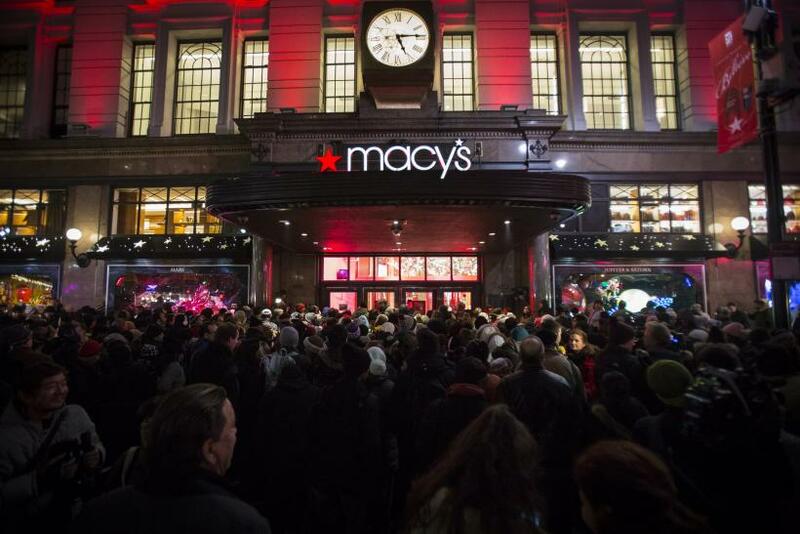 Ever since the start of the modern Macy's Thanksgiving Day Parade in 1924, the Friday after Thanksgiving has been known as the unofficial start to a bustling holiday shopping season,” the site’s Black Friday History page reads. The term “Black Friday” did not enter widespread use until the 1960s, though, when police in Philadelphia reportedly complained that so many excited shoppers led to traffic jams and misdemeanors. Its origins were chronicled in a 1994 article in the Philadelphia Inquirer, when a reporter recalled that police officers had to work 12-hour shifts on the day after Thanksgiving, so they were eager to commiserate about the state of crazed shoppers and drivers. In more recent years, Black Friday has grown in popularity as retailers realized they could draw huge crowds if they offered deep discounts. The best buys on Black Friday are typically on electronics and toys, but discounts are seen on nearly all items. Now stores compete to open their doors as early as possible and offer the best discounts around. Many also offer their discounts online so consumers can take advantage of the day without needing to brave the chaos at malls and shopping centers. Some years, Black Friday has lived up to its name, with shoppers breaking out into fights and violence. There have been shootings and physical altercations -- seemingly often at Walmart -- that have led people to follow the insanity on social media with the hashtag #Walmartfights. If you want to enjoy Black Friday this year, just be sure to plan ahead. Look up which stores have the best deals, and know what time they open so you can avoid fighting other shoppers for parking spaces.